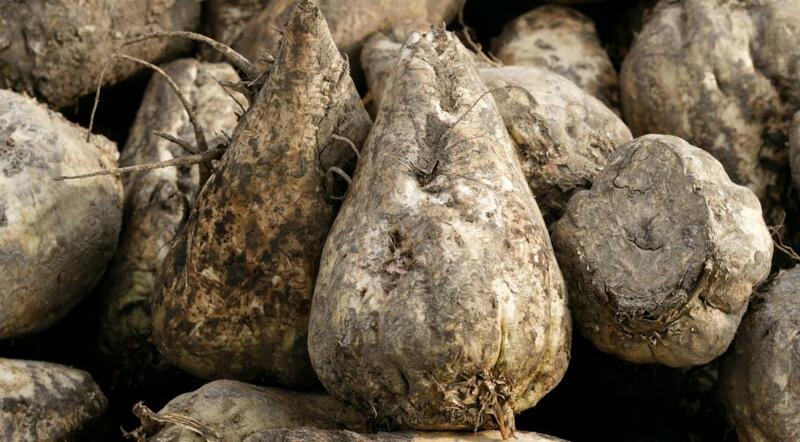 Fresh sugar beets are whitish roots that look slightly similar to turnips. In many areas, beets are planted in the spring and harvested in the fall. When making baked goods, there is little difference in taste between cane sugar and beet sugar. Refining beets for sugar began in the 19th century when a British blockade kept the French from receiving sugar cane. Sugar beets are one of the main sources of white table sugar. Sugar beets, of the genus and species Beta vulgaris, are one of the main sources of table sugar and other forms of refined sugar. Though this plant may be native to the Mediterranean, refining beets into sugar didn’t occur until the 19th century, when the British blockade during the Napoleonic Wars deprived the French of access to sugar cane. Credit for inventing the sugar extraction process from beets goes to Benjamin Delessert. The practice of using beets for sugar spread, and it soon became source for sugar in Europe and the United States, especially because the beets could be grown in a much larger climate area than sugar cane. Beets are a root crop, and sugar is harvested from the root. Sometimes, the beet tops are also used as food, and they can make up excellent animal feed. After the sugar is extracted from the beets, the remaining pulp can be used to make wet or dry mash for animals too. They can also be used as an alternative fuel source, called biobutanol, though manufacture of this fuel is generally limited to a small area in England. 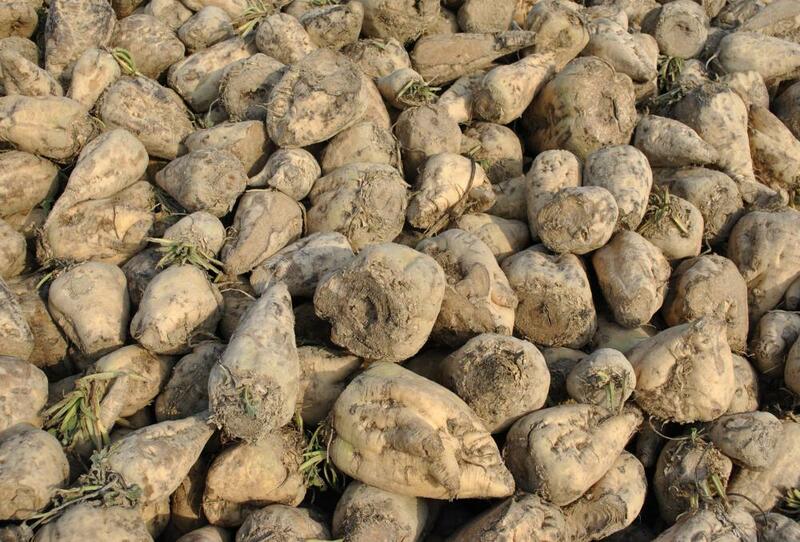 In appearance, the sugar beet root is nearly white in color, not the red or deep purple of most types of beets sold directly for consumption. In fact, they’re less round than the average beet and more resemble a turnip. Their average size can vary. The time of year when these beets are grown and harvested depends on their location. In many areas, beets are planted in spring and harvested in fall. In areas like California, they may be sown in fall for a spring harvest. Though grown in many places in the US and Europe, the beet capital of the world may be Sebewaing, Michigan, in the US. Work to plant, maintain, and harvest crops was a huge job until the introduction of automated processes. Today, most sugar beet crops are harvested by machinery. 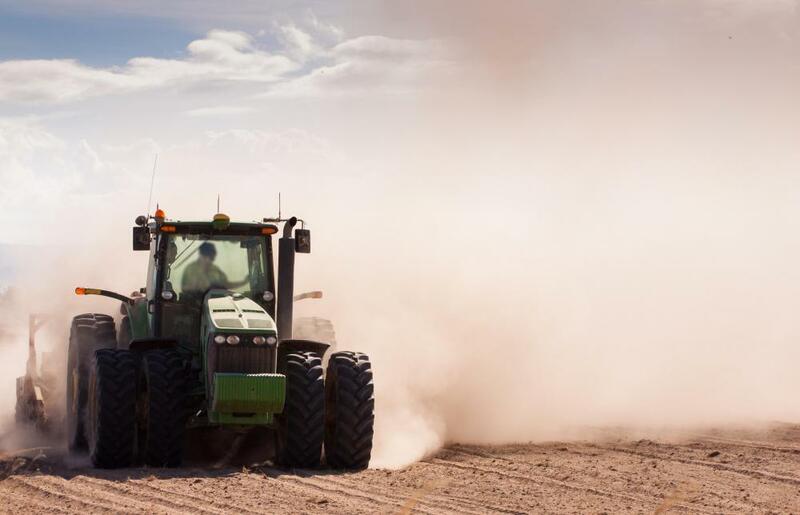 Other changes to beet farming include the use of genetically modified beet seeds, especially in the US, that are more resistant to certain forms of diseases and exposure to the chemicals in herbicides. For those who would prefer organic food sources, the use of genetically modified organisms is not preferred, and many are frustrated that sugar made from genetically modified beets may not be labeled accordingly, especially in the US. Some people prefer to use organic cane sugar instead to avoid this issue. 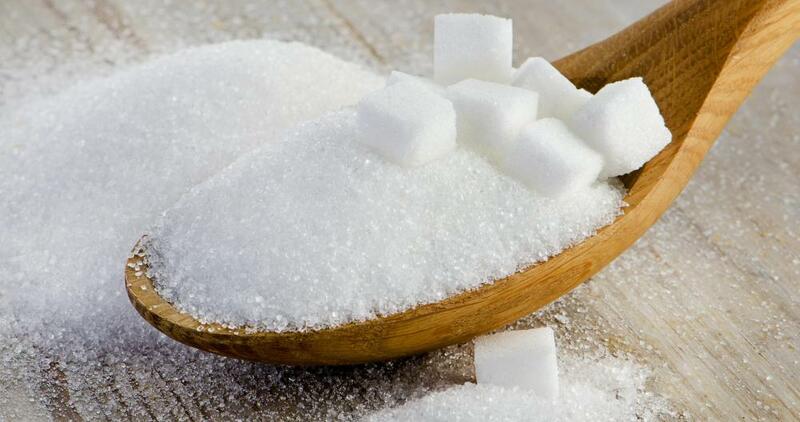 Sugar produced from sugar cane is still more common than sugar beet sugar. Presently, about 30% of sugar produced comes from beets. 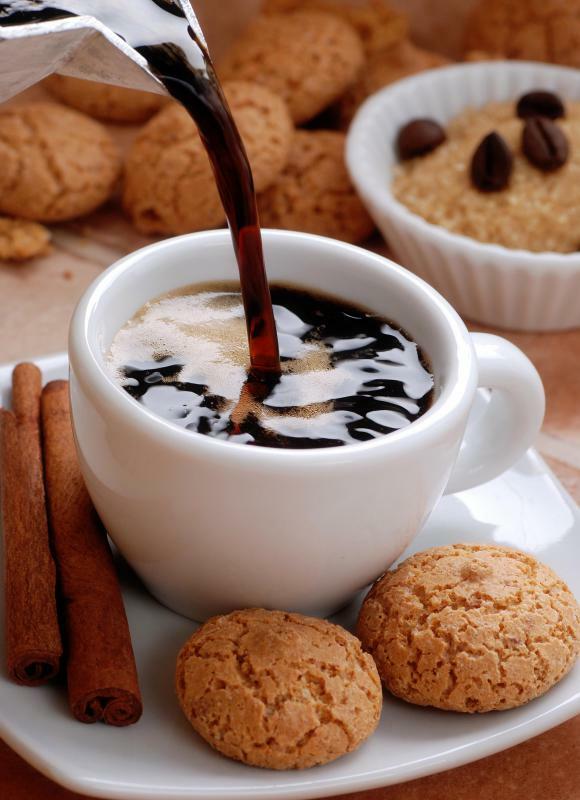 For most people, there is little taste difference between cane and beet sugar, since the same types of table sugar can be produced from each source. What Is the Sugar Manufacturing Process? Wasn't there a lot of sugar beet production in the US around WWII? Why did production decrease after that? There is barely anything now compared to other countries. @upnorth31-- That's a very good point. I believe there is a US company that's working on this right now. As you know, other types of produce like corn and wheat can also be used to produce fuel. However sugar beets are superior to all of these because they already contain sugar. When corn or wheat is used, they first have to be turned into sugar. So it only makes sense to use sugar beets for fuel rather than other types of crops. Let's just hope that enough companies have an interest in this to continue this work. I think the government should subsidize these programs. I used to like and buy sugar beets until I lived near a sugar beet factory. Man that stuff stinks! 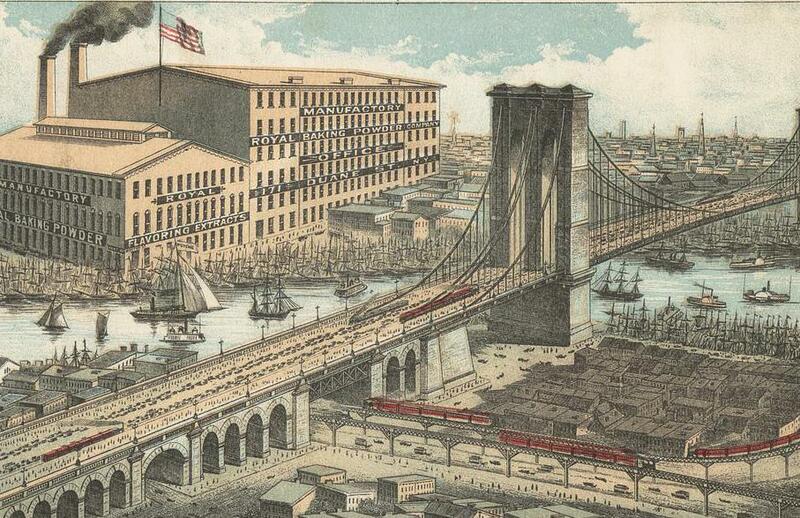 The whole neighborhood had an odd odor because of that factory. I didn't stay there very long for that reason. I don't know what it is about sugar beets that make them release that weird smell when they're being processed. Using genetically modified beets has not been tested thoroughly. If you eat conventional sugar in the US, you are part of a vast experiment to find out if the GM beets will cause ill health years later. If one sugar beet use is to make it into fuel, why is it only being done in Europe? There is so much controversy about fuel sources these days. If we can grow sugar beets in the U.S., then why aren't we using the fuel that can be made from them? It seems like it could solve some of our fuel problems, and at the same time create more jobs for farmers. I guess I never really thought about where sugar came from, unless it was sugar cane, because I had no idea it also came from sugar beets! If it's not a problem to grow sugar beets in the U.S., then why do we still use so much high fructose corn syrup in our foods? I thought it had to do with sugar cane not being as easy to grow here. But if sugar comes from sugar beets also, why are we using corn syrup?